This downtown loft has plenty of personal style and stunning San Diego views, but it wasn’t always that way. The original owners sponge-painted the walls bright orange and green in a heavily Tuscan theme. They also created a dining area that blocked access to the open patio. By opening up the layout, creating a breakfast nook and keeping the color scheme largely neutral and masculine, we were able to give this space the hip, modern feel this single dad had been dreaming of for years. Now, this bachelor can kick back, relax and still have the kids over. 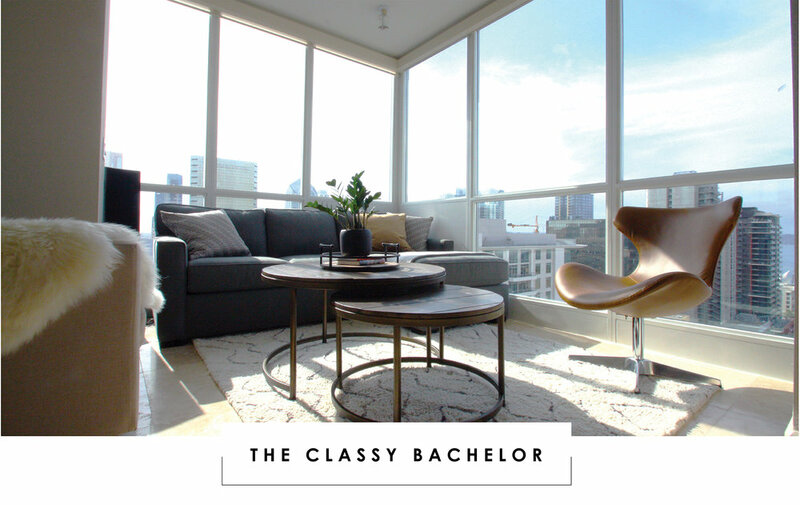 His sleek downtown bachelor pad is now a high-end, livable space any guy would be proud to call his own.